Debt portfolio managers face a number of challenges in identifying the right way to get NPLs off their books and improve the quality of their portfolios, thus reducing their risk exposure. Technology’s role is becoming more crucial than ever. There is a lot of pressure on creditors and debt buyers to reduce the amount of non-performing loans (NPLs) because regulators want to make the financial system more robust. This has led to a strong market for debt in Europe – according to KPMG, there were more than €104 billion of debt deals across 30 European countries in 2015, led by the UK, Ireland, Italy and Spain. The market is expected to remain buoyant in 2016 as regulators continue to pressure banks to get NPLs off their books and new opportunities are created by uncertainty in Greece, the UK and Italy in the months ahead. 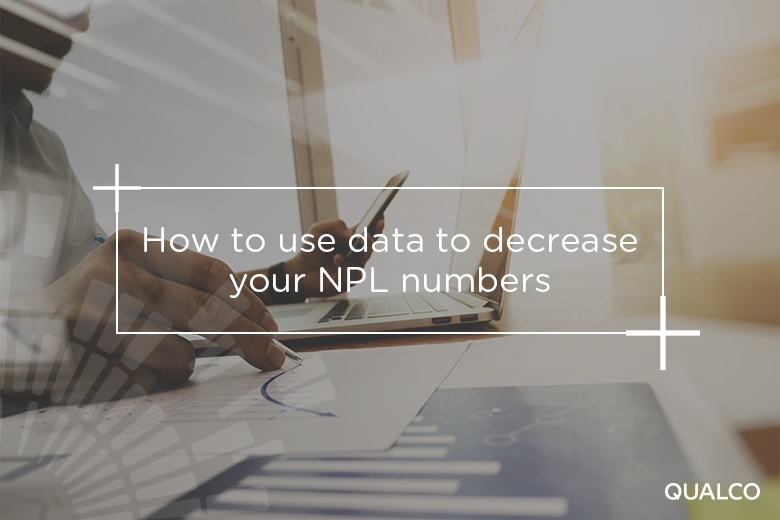 Whether you are a bank trying to clean up your portfolio or a buyer of debt, there is a strong incentive to remove NPLs. But this isn’t always easy in markets that are becoming ever-more complex. Different parts of the industry are focused on different concerns. For bank bosses, NPLs create reputational challenges and threaten attempts to strengthen or repair brand image and safeguard capital adequacy. They also invite extra scrutiny from regulators, create a shifting landscape of regulations and increase risk. NPLs have moved from being an operational issue to a challenge that is increasingly strategic. Finance chiefs worry about the complexity and cost of collecting loans, the lack of tools at their disposal and a lack of transparency about the level of their exposure. For those in charge of collections, the multiplicity of IT systems and poor performance measurement make recovering loans a real challenge. Meanwhile, buyers of debt need to improve collection rates to maximise the return on their investment but there is not always enough information available. Without this information, it is tempting to treat all customers the same, but research shows that the popular image of customers is simplistic and often inaccurate. Research in the UK showed that two thirds of people have missed a payment at some point – and the most common reason is forgetfulness. Moreover, taking an unnecessarily heavy-handed approach can do your business more harm than good as consumers do not hesitate to switch provider and tell their friends to do the same if they feel they have been unfairly treated. More sophisticated tools are needed that enable you to treat customers as individuals. The key to this is having the information that you need readily to hand. But there are already solutions available that many debt managers may be unaware of. These products use the power of big data, computing power and analytics to drive better decision-making, improve collection rates and even to rehabilitate customers who until now have been considered unbankable. Analytics is increasingly important in all businesses, and debt recovery is no exception. But currently, it is not being used to its full potential. While analysts may be using a standardised analytics product, they have a lot of leeway in how they use it. By building an analytics infrastructure that automates a lot of data analysis as well as defining and enforcing best practice, you can improve response times, create economies of scale and free up your analysts to make better, faster decisions. You can also ensure quality control and compliance, which has become an increasingly important part of the industry. Automating the whole analytics workflow and coupling it with machine learning allows you to make sense of large volumes of raw data and use it to shape your decision-making. This already works well in areas such as credit scoring and calculating the likelihood of default or recovery but it can also predict the chances of you finding clients you haven’t talked to for a while, or of reaching payment arrangements. The key is to be able to segment customers effectively to take advantage of the fact that different customers have certain patterns of behaviour in common – in particular how they react to different stimuli – that allow you to treat them in the same way. Using analytics workflow tools and building a model suited to the particular segment of your portfolio, you can use your data for a range of tasks, producing predictions that will help you make better decisions, improve your NPL recovery rate, produce better outcomes for your customers and customers and reduce your overall risks. The market for European debt is booming. There were more than €104 billion of deals across 30 European countries in 2015, with the UK, Ireland, Italy and Spain being particularly busy markets. Debt portfolio managers face a number of challenges in identifying the right way to get NPLs off their books and improve the quality of their portfolios, thus reducing their risk exposure. With the amount of outstanding debt growing, more sophisticated tools are needed to help increase recovery rates. Technology exists that can implement an end-to-end predictive analytics workflow that can deal with large volumes of data (e.g. monthly snapshots of millions of accounts over many years). One of the most important developments is segmentation that allows you to identify customers by the way they react to different stimuli, rather than focusing on their age, gender or income group. By building an infrastructure that automates a lot of data analysis, you can improve response times, create economies of scale and free up your analysts to make better, faster decisions. Download The Debt Portfolio Blueprint: How to improve recovery rates through data-driven decisions, better segmentation, and enhanced analytics to discover more.